Natalie Dormer is set to star in the upcoming zombie thriller Patient Zero, according to Deadline. 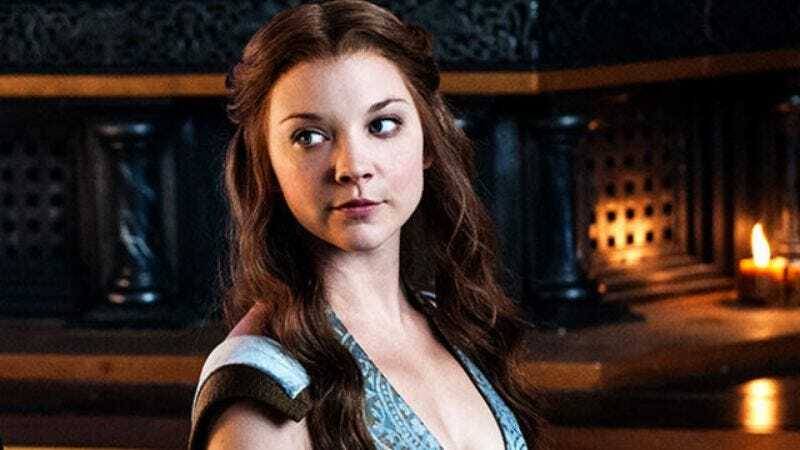 Best known for her work as Margaery Tyrell on Game Of Thrones, Dormer has also popped up in the superhero flick Captain America, played Irene Adler on Elementary, and will appear in the upcoming Hunger Games: Mockingjay films. Patient Zero furthers Dormer’s burgeoning feature film career and allows her to check off another box on her genre fare bingo card. Written by Mike Le and helmed by Austrian director Stefan Ruzowitzky, Patient Zero imagines a worldwide zombie outbreak as an aggressive form of rabies that causes an addiction to violence in all it infects, forming a new species of violent human mutants. The film follows an “inexplicably gifted human” who’s able to communicate with the infected mutants and sets about finding Patient Zero in order to create a cure. As of now it’s unclear who Dormer will play, as the central role has previously been described as man searching for a cure for his infected wife. It’s possible the role is being changed to suit Dormer, although it’s more likely she’ll be playing a supporting role—possibly the wife, possibly someone else. Regardless, with “zombie film” now added to her resume, Dormer is only a “space epic” and a “vampire romance” away from covering all the bases.